As the country extends the official date for leaving the EU none the wiser on what Brexit actually means for anyone, or if it will ever happen, many red flags have been raised about the risk to a construction sector heavily reliant on EU labour. 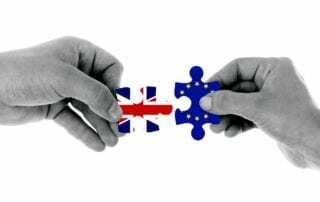 There is no doubt that Brexit will impact the sector and may result in fewer EU workers coming to the UK, but rather than create the skills shortage Brexit has simply shone a light on a situation that the sector has struggled with for years. It exacerbates a pre-existing underlying condition where the symptoms have been obvious, but treatment and cure has so far been elusive. Around 7% of the workforce in the UK construction sector are EU nationals, that’s more than the percentage of EU nationals working in all other industries in the UK. On top of a pre-existing skills gap that’s more than the sector can bear. 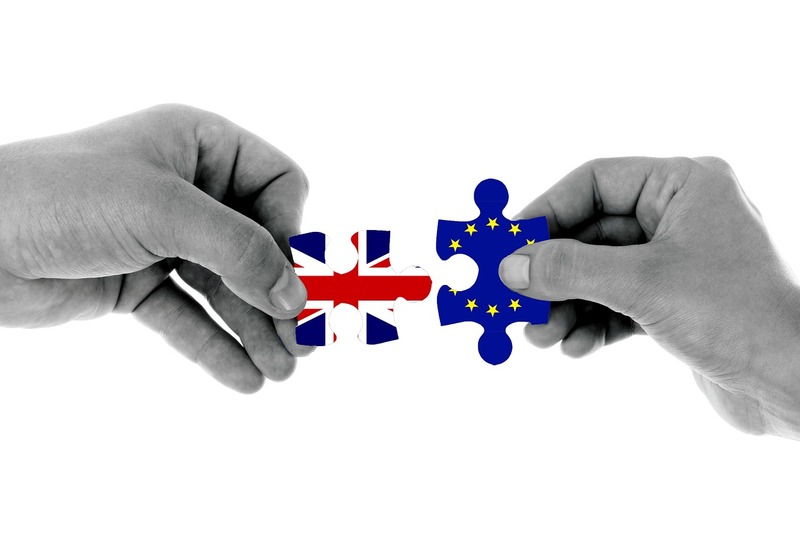 A coalition of construction industry organisations and the Construction Industry Training Board recently published a “Building After Brexit” action plan that recommends a twin track strategy to address skills shortages. It identifies the need for growing investment in the domestic workforce and driving up productivity while working with government to agree how to maintain access to migrant workers. The report also recommends attracting talent by raising apprenticeships starts and completions and creating pathways to construction for underrepresented groups along with providing better work experience opportunities. It seeks to retain workforce, supporting older workers to stay in the industry and identifies the need for a Future Skills Strategy to identify skills to modernise the industry and boost investment in modern methods of construction. The industry has been talking about how to deal with the underlying condition of skills shortage for years. Maybe the intensifying of pain caused by Brexit will be enough of a catalyst for a much needed treatment and effective long term cure. Are We Ready for Artificial Intelligence in Construction? Since the mid nineties productivity in manufacturing has more than doubled while over the same period in the construction sector it has barely improved. One of the main reasons attributed to this is that construction is one of the slowest sectors in the world to adopt new technologies. But machine learning and artificial intelligence (AI) is gradually becoming recognised as a potential game changer in construction efficiency. The construction sector has become very good at creating data – lots of it. The availability of so much data presents challenges to those (humans) trying to analyse its meaning, sometimes slowing critical decision making or smothering the obvious simple answers. But machines love data and the more of it there is, the better that they can learn from it. There is a huge potential for the application of AI in construction. Because AI can analyse data that overwhelms humans it can alert the critical issues that need a project manager’s attention, saving the hours it would normally take to make the analysis. We are already seeing the use of AI in BIM modelling as new technology creates modelling systems that learn from each design iteration to make sure that mechanical, electrical and plumbing plans don’t clash with building architecture and actually create the optimum solution. One AI company has now developed robots that can physically scan construction sites and feed the data back to a neural network that identifies progress on all aspects of the project. Self-driving machinery will become more prevalent on sites for repetitive work and many construction companies already use AI to manage resources more effectively. A recent McKinsey report said that real time analysis of data could improve productivity in construction by up to 50%. Imagine the value of that to HS2 or Crossrail. While some fear significant job losses to AI, in reality it’s unlikely to replace the human workforce but there is absolutely no doubt that in the construction sector it will change business models, increase efficiency and reduce expensive errors. Is Public Public Procurement Reform all Talk? The 45,000 employees of Interserve, along with its suppliers and clients are now facing a period of difficult uncertainty as they wait to see how they are affected by the pre pack administration. They can take some reassurance from the new legal entity’s “business as usual” message but it may not be business as usual for everyone because that’s what got them into this situation. It is inevitable that significant changes will be made if Interserve is to trade out of its situation. It is just over a year since the collapse of Carillion, which was the catalyst for clarion calls to reform public procurement of construction and outsourcing contracts. Those calls highlighted the need for immediate reform in an industry where multi million pound contracts with the tiny profit margins had become the norm. This is compounded by a sector that is seeing almost zero growth putting more pressure on contractors to bid at bargain basement prices supported by a supply chain that needs the business. It still feels like there is a lot of talk and good ideas but not much actual change. A number of reports and reviews were published last year urging change, but it is taking time for any of those recommendations to translate into practice. Last year’s Hackitt Review, commissioned in the wake of the Grenfell Tower tragedy, recommended that procurement processes should “obtain best value, rather than lowest cost”. The Government’s Transforming Innovation (TIP) and Performance plan aims to lift productivity growth by the adoption of digital and manufacturing technologies and transitioning to new collaborative business models with better integrated supply chain models. The Institution of Civil Engineers Project 13 industry wide change programme recommends better ways of delivering infrastructure that encourage innovation and deliver better outcomes with reduced waste. It is an industry wide change programme to radically reshape the nature of project delivery moving from traditional transactional arrangements to an integrated enterprise model. These are just some examples of well received proposals for reform in the last year. If the industry wants to avoid another large contractor collapsing it needs to start adopting these new approaches, fast. This is a critical time for UK construction and clients, contractors and the entire supply chain need to respond and put these new approaches into action. It only needs a few early high profile successes to start the momentum required to succeed and bring security to the 2.7 million people who work in the industry in the UK. Has Offsite Construction Found its Time? 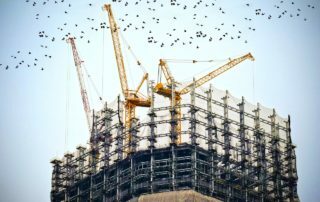 At the end of last year the Treasury published its Infrastructure and Construction pipeline update with a strong reiteration of the government’s pledge to increase offsite construction methods in public funded projects. A call to action like this in a sector that is suffering from low productivity, increased material costs and a severe skills shortage suggests that offsite is an obvious solution that has found its time to make a real impact in the sector. Prefabrication offsite is hardly a new concept – the Romans and Egyptians used it – but it is delivering innovative solutions and impressive productivity savings in a sector that desperately needs to “modernise or die”. The ability of offsite construction to improve start to completion timeframes by around 50% brings significant cost benefits. Smaller workforce requirements mean less pressure on skills and working in a controlled environment offsite improves safety. Offsite projects outperform their onsite counterparts with an ability to enhance overall productivity. Where almost 50% of onsite construction projects fail to reliably predict completion dates, offsite predictability is almost 100% reliable. So, with such strong government backing and favourable market conditions why aren’t more projects being delivered using offsite construction? A House of Lords Select Committee on Science and Technology report in 2018 cites the way the construction sector operates as the main inhibitor. It recognises that greater collaboration is required between clients, designers and contractors from an early stage in a sector that is “fragmented and lacking in trust”. The answer surely lies in a collaborative approach and a change in the current business and procurement models for large construction projects. The Select Committee recommended that government needs to work closer with the industry to bring about change and improvement but in an era of Brexit paralysis that is unlikely to happen quickly. There is no doubt that we are about to witness a significant growth in offsite, but the jury is still out on exactly when the construction sector will get its act together for it to happen. The UK construction is seeing growth and margins stagnating while at the same time almost every aspect of cost from materials to skills, is rising steadily. It’s a situation that allows little or no room for error and demands that construction more project managers have to be more effective than ever. Delivering a high quality project for a client on time and budget is no mean feat and while the skills of a project manager must be many and varied, there five aspects that are key to success. Detailed strategic planning must start before the contract is finalised and needs to take account of every eventuality. Ask anyone in construction what the variables are and they’ll happily tell you, but how often were they properly considered in the planning? An effective project plan should be a road map to completion that defines the deliverables and risks at every stage of the process. It should identify and eliminate potential problems up front so that they don’t become costly fixes once site operations start. Success requires teamwork and the best teamwork is always the result of effective communications. It’s vital to establish communication processes for everyone involved in the project. That flow of information needs to continue throughout the lifetime of the project. An effective PM should get out on to site as much as possible to measure progress and get as much feedback as possible. Involve the supply chain with the design team from as early on as possible in the bidding process. One of the biggest benefits of collaboration is the potential to improve productivity and value on the project for everyone while delivering a quality building on time. Involving everyone from the start, supported by effective communication, will also manage expectations and reduce client changes further down the line. Constant and repeated progress review is vital and minimises discrepancies with resources. Unforeseen problems are bound to occur but if they have been planned for at the start then it is easier to adapt, reassess and reprioritise. For example, a spell of bad weather might mean redeployment of staff onto other tasks. There is no shortage of technology available to help project managers deal with the huge number of complex tasks associated with any construction project. That in itself can create problems if contractors in the supply chain all use different technology and software products that don’t integrate well. It’s a significant consideration at the pre contract planning stage so that solutions can be found to allow effective sharing of documentation and data throughout the project. The new year has started with a raft of doomsday predictions about the impact of climate change and the need for society to take seriously its responsibilities for future generations. While some may be sceptical about the need for a vegetarian diet to save the planet, there can be no doubt that we need to up the pace of sustainable construction methods. The UK goal is to achieve an 80% reduction in carbon emissions by 2050. But buildings account for 45% of carbon emissions and it’s estimated that 80% of the buildings we will occupy in 2050 have already been built. The Intergovernmental Panel on Climate Change recently warned that we have 12 years to reduce the rate of global warming before widespread flooding and droughts become unavoidable. The construction sector has a lot to do. While there have been some significant advances in sustainable construction, thanks to technological innovation and government support, greener building brings with it added expense. But there are signs that progress is being made and momentum will build in 2019. In December the Royal Institute of Chartered Surveyors launched and Embodied Carbon Database to help built environment professionals identify where carbon reductions can be made throughout the construction process. The Government’s recently published Energy Performance of Buildings Directive requires that minimum energy requirements in national buildings are set “with a view to achieving cost-optimal levels”. By this it means the best level of energy performance that can be achieved whilst remaining cost effective over the lifetime of the new building. While the report concludes that current building regulations are sufficient for new buildings in the UK to meet the requirements of the Directive, it has already committed to a review later which will likely tighten standards. Many UK cities are now adopting a policy to be carbon neutral within 15 – 20 years and these targets will only be achieved with a net zero carbon neutral new build policy. The challenge for the construction sector is to find the will to deliver sustainable solutions at a time when productivity and growth in the sector is flatlining resulting in significant pressure on profitability.